This lanyard is 10mm wide and 914mm long, standard lanyard size. 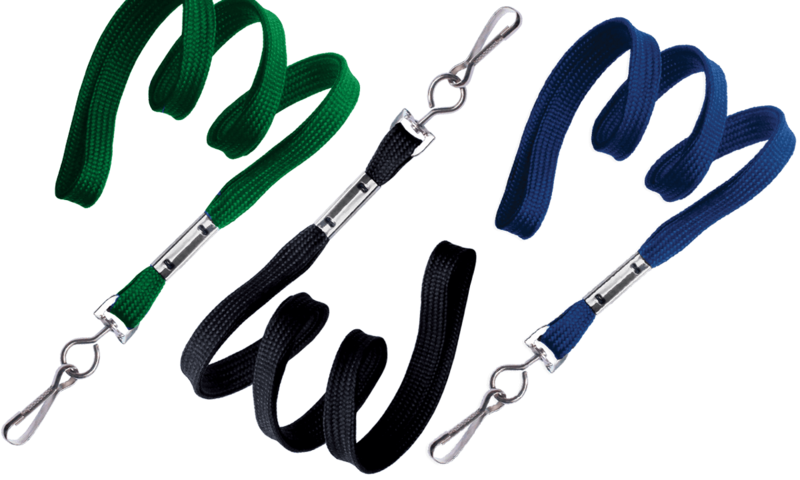 Each lanyard features a nickel-plated steel swivel hook end fitting, one of our most popular end fittings. Swivel hooks allow for easy attachment to a slotted ID card or a badge holder with a slot or chain holes. These lanyards are perfect for large meetings, conventions, color coding at offices and more. A metal crimp finishing option adds a touch of shininess to the lanyard. No-frills badge carrying is what this lanyard offers! With durable polypropylene construction and a classic braided lanyard look and feel, this lanyard provides simple, yet effective, badge carrying.